As discussed in an earlier post, an estimated 6-10% of incarcerated women are pregnant at any time in the criminal justice system. Therefore, many of these women will give birth while behind bars and must deal with the physiologic and psychological adjustments of the postpartum period in an alien environment with little social support. Women who give birth behind bars are highly susceptible to postpartum depression. A review of literature on the subject found factors associated with this condition include past histories of anxiety disorders or depression, recent life stresses and poor social support. All these conditions are highly present in the female inmate population. Depression can be exacerbated by separation from the infant soon after birth. Although some progressive settings, such as this New York prison, are allowing babies to stay with mothers, most require that the child be placed with another family member, the foster care system, or given up for adoption. 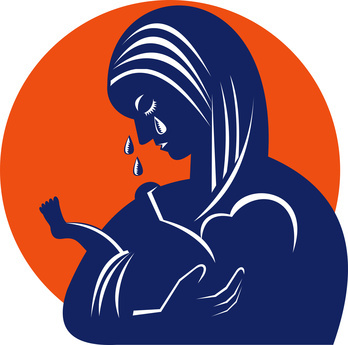 The 10-question Edinburgh Postnatal Depression Scale is used in outpatient and home care settings to objectively screen for potential postpartum depression. It could easily be incorporated into a correctional setting with self-administration possible for those patients with good reading skills. Another option is for the nurse to ask the questions. Although treatment options may be limited, postpartum depression must be addressed to avoid poor outcomes such as self-harm. A mental health consult is the first action to take. Management of postpartum depression is similar to any major depression and can include psychological support, cognitive therapy, and antidepressant or antianxiety medication. How do you manage women after childbirth in your setting? Share your thoughts in the comments section of this post. To read more about the unique aspects of women’s health care in the correctional setting see Chapter 9 in the Essentials of Correctional Nursing. The text can be ordered directly from the publisher and if you use Promo Code AF1402 the price is discounted by $15 off and shipping is free. This entry was posted in Women's Health and tagged correctional nursing, Essentials of Correctional Nursing, Lorry Schoenly, Women's Health. Bookmark the permalink. We learned a hard lesson about post partum depression in our jail. We had a woman give birth and about 4 days later was released from jail to go to a treatment facility. She had to walk about 6 blocks to the facility and committed suicide along the way. In our review of the case, we added a post partum mental health and education evaluation to our Pregnancy Protocol to assure each woman had an intervention by a mental health professional after birth or upon leaving the facility. We cannot predict when and if depression will occur, However, we can educate our patients that it may occur and what to do about it.